Anysort Technologies Lanka (Pvt) Ltd. is an Agro Industrial Technology and Services Supplying business, specialized in introducing State of the Art Color Sorters with cutting edge technology & Allied Products which are essential in large scale modern Agro Product Processing and Manufacturing particularly in Color Sorting Industry. Anysort Technologies Lanka (Pvt) Ltd is the Local Branch of Anysort Technologies China. Since Introduced to Sri Lanka in 2011, it has become the Undisputed Market Leader in Sri Lankan Tea Color Sorter Industry with maximum installations since 2013 up-to-date due to its Durability, Stability, Competitive Price, High Performance and Superior after Sales Service. After Sales Services are offered directly by the Manufacturers Engineers, positioned Full Time in Sri Lanka, on 24/7 on call Service. Anysort was the first to install 3 stage, 5 stage Cloud Color Sorters & the 1st & the only Company to install high throughput (up to 4000 Kgs/ Hr.) InGaAs Infrared Tea Color Sorters specially for exporters to Eliminate all Impurities including Black Color Impurities; Plastics, Stones, Sand, Glass, Metals, Non Metallic Particles, Nylon, Paper, Insects, Animal waste & all Non Tea Malignant Impurities. The Company is headed by Mr. Pradeep Chakravarthy (AIPM/NDPM/BSc (Plantation Mgt.) who has been in the Tea Industry for well over a decade in both Administrative, Technological and Processing Management. “Anysort” is the overseas brand name of all color sorters produced by Anhui Jiexun Optoelectronic Technology Co., Ltd. Located in Hefei, Anhui Province over 150,000㎡ and possesses 370 sets of equipment for production, research and testing. Staff of over 700 people of which 80% are undergraduates & graduates. Pioneer & Global Innovator of Third Generation Cloud Version consisting of 4 Color RGBW adopting Hawk-Eye Technology into camera. Anysort products have been sold in more than 80 countries including North America, South America, Northern Europe, Eastern Europe, East Asia, Central Asia, Southeast Asia, Africa, Australia, etc. Anysort- 1st Company to achieve the following certifications in Global Color Sorter Industry. ISO 9001: 2000 Quality Management System Certification. ISO 14000 Environmental Managements System/ Occupational Health and Safety Management System Certification. Anysort has consecutively won the following titles in China. Consecutively Honored as Most Technologically Advanced Color Sorter Title in China. Consecutively Honored as Most Influential Color Sorter Brand in China. Consecutively Honored for Highest Quality Product Title & Quality Management Systems. Computer Software Copyright Registration Certification. Honored as “AAA” Level Enterprise of Credit Evaluation. 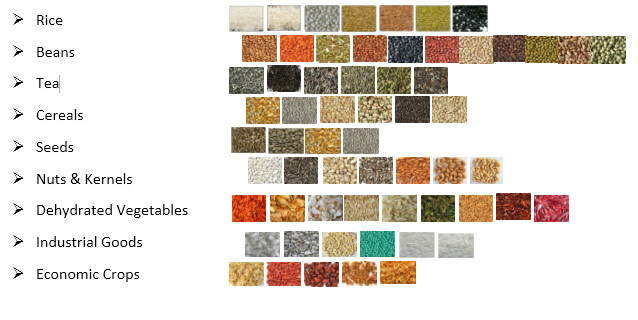 Product Range of Anysort-(Color Sorters). Anysort Contribution to the Global Tea Industry. More than 6000 Tea color sorter installations in China, India, Sri Lanka, Kenya, Iran & Vietnam etc. Market leader in Global tea color sorter industry since 2011 up-to-date. Introduction of Infrared technology- Ensure Food Safety. High Capacity color sorters- Ensure efficiency & reduction of costs. Free/ Regular Performance Enhancing Software/ Mechanical Upgrading Irrespective of Warranty Period- Ensure all machines consist of latest technology.